The Timeless Tuesday Challenge - Build It With Dots over at Flourishes was not only interesting and fun, it was also something I have never done before. It's a technique called Pointillism. To learn more about it head over to the Flourishes blog where you'll find a few links that will explain the process to you. Since I had not done this technique before, I decided to go with a smaller image. The pinwheel from Flourishes Pinwheels and Popsicles Stamp Set was perfect. Now that I've actually done this technique, I can say I will be using it again. It gives a great look to your finished image. 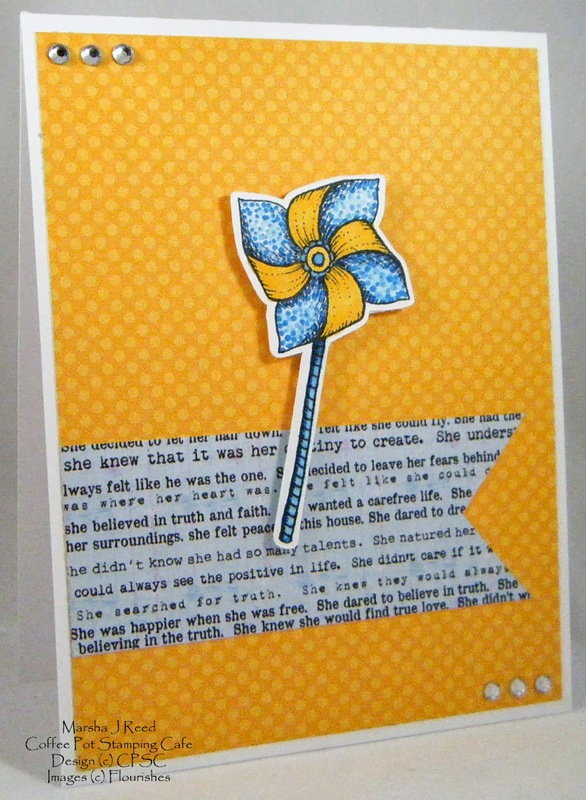 It's a very clean and simple design but I love how the yellow polka dot paper makes the pinwheel pop! Be sure to click on the image below to visit the Timeless Tuesday Challenge and check out the Pointillism technique.